With the arrival of 4th generation Intel Core processors (a.k.a Haswell), consumers can naturally expect to see not only new PCs but also a lot of existing PCs to be refreshed with the new processors. 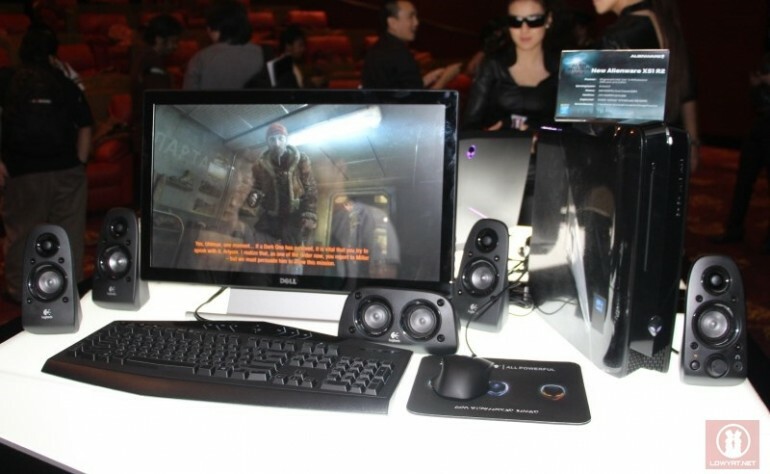 Among them are the Alienware X51 gaming desktop PC from Dell which now comes with either a 3.0GHz Intel Core i5-4430 or Intel Core i7-4470 quad-core processors. Other than that, Dell has also upgraded the Alienware X51 with NVIDIA GeForce GTX 645 and GeForce GTX 660 graphics card to accompany each processors respectively. However, other hardware for both variants are rather identical such as 8GB 1600MHz DDR3 RAM, 2TB 7200RPM SATA 3.0 hard drive with 64MB cacahe, and slot-loading dual-layer DVD burner. Priced at RM 2999 and RM 3999 respectively, do note that the pricing are just for the PC alone and don’t include the display as well as speakers that are show above. For further info, head on to www.alienware.com.my.